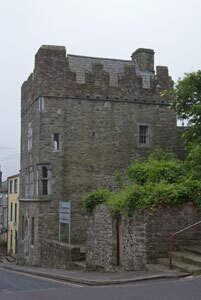 Desmond Castle is on Cork Street in Kinsale, in Ireland's Southwest Region. 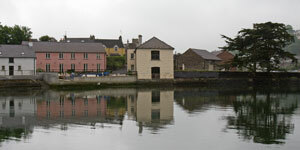 Kinsale is about ten miles (16 km) south of Cork City. The castle has been used as a prison, a customs house, a workhouse, and a store. 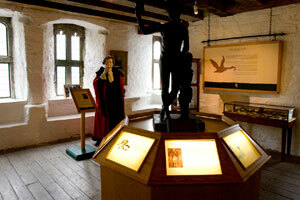 Today, you can enjoy a tour of the International Museum of Wine in Desmond Castle. The conversion was made in 1997 by Irish Heritage Service, local restaurant owners and historians. 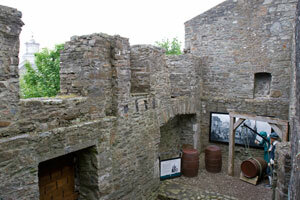 The displays at the castle describe the Irish involvement in winemaking in other countries. The "Winegeese" are Irish families who left Ireland to work in the winemaking industry across the world. They are part of the "Wild Geese," who left Ireland for various opportunities in other countries. Some of the Wild Geese left after wars in Ireland; others left because of the laws against Catholics, others left to find business opportunities in Europe. The Winegeese left during the 17th century and later, to work in the wine industry in countries such as France, Spain, Italy and Germany. In later centuries, the Winegeese settled in North America, Australia, and Africa. Desmond Castle was built as a customs house by the Ninth Earl of Desmond, Maurice Bacach Fitzgerald, in about 1500. The Fitzgeralds were descendants of Anglo-Norman settlers and controlled large areas of Munster. The Spanish military supported a rebellion against England in 1601 and occupied the castle and the town. 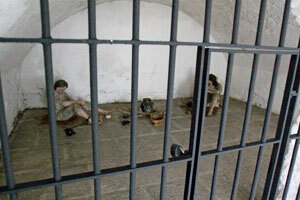 The castle became a place for keeping prisoners in terrible conditions from 1630 to 1800. American sailors captured during the American War for Independence, French prisoners and Spanish prisoners were all kept in the castle. The castle is known locally as the "French Prison" because of the fire in 1747 when 54 prisoners, most of whom were French, died. 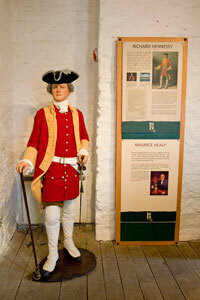 In 1791, the castle was donated to Kinsale and used to keep local prisoners. 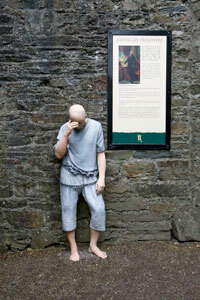 In the 1840s and 50s the castle was used to house the poor during the Famine. In later years it was used as a stable and a meeting house. 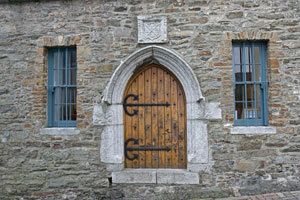 To read more about the castle and the Winegeese, go to the Desmond Castle Heritage website.